The following is an account of an art event that took place in New Haven, Connecticut, in late 2002. It began as a small art show among friends in the art studios of myself and fellow artist Mark Andreas, and was later transplanted and expanded within the walls of a larger art gallery in town. This is written as testimonial, a way of reckoning with the past. The sense of urgency that once accompanied the duct tape art project has turned into an inadvertant cultural boycott: a long, steady resistance to the wars that actuated it (Iraq and Afghanistan) – still ongoing. Of interest for the purposes of this account are its internal dynamics: how a group of artists can become temporarily unified in their humanity through a substance, a material, one that becomes a kind of language appropriate to the moment, mutually intelligible and immediately recognizable without the need for explanation or persuasion. Artists, who have a capacity to remain hidden in slumber for years under the weight of oppressive social systems, can, from time to time, emerge when offered such an excuse. I can remember one artist in particular, who walked into the gallery with a well crafted structure made from old windows and strips of duct tape. He told me that for twenty years he had given up on art completely because he considered it ineffectual and irrelevant, but when he heard about this show and its inclusive character, he found a reason to make art again. Of course, this effort, an anti-war art show, is part of a long tradition of war resistance within the arts. It did not emerge from the imaginations of the organizers as a singular event but rather as a continuation of an effort that has been ongoing through the decades, or, as an elderly woman emphatically stated to me while marching in New York City in the massive protest of February 15, 2003: "My first protest was in 1938 ... You have to keep doing it!" The misguided notion that war is just part of human nature, or that it needs to be accepted as inevitable, has no scientific basis (Horgan 2012), and while many dismiss such efforts as ineffectual, there is no way to quantify the ameliorative effects of protest and resistance. It is more likely, in fact, that the efforts of anti-war individuals and organizations have done much to guide our world from even worse outcomes. It cannot be assumed that art necessarily aspires to be intelligible within political discourse – there is no evidence for this. Art has its own purposes, completely separate from the exigencies of conflict and resolution, but during troubling times, it can serve to form a kind of community of understanding, and artists make work in response to times of dread as well as periods of withdrawal and grace. This meditation on the event occupies the same place and purpose of offering perspective and reconciliation: "Words are there to bring us back to an illusion of sanity after wars have done their worst" (Faber 2006: 69). 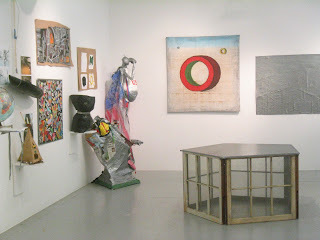 There is a close and abiding relationship between artists and cultural workers in their mutual aversion to war, and the creation of proximity that forms inhabit within the gallery space allows for the opening of a dialogue, one which, although united in dissent, is nevertheless plural and manifold in its manners of expression. This relationship has been investigated within the context of the surrealist movement in Europe by James Clifford, who notes that "The sort of normality or common sense that can amass empires in its fits of absentmindedness or wander routinely into world wars is seen as a contested reality, to be subverted, parodied, and transgressed" (Clifford 1981: 539). In his essay "On Ethnographic Surrealism," James Clifford states that surrealism was born from the excesses and barbarism of World War One (Clifford 541). Stepping back after its completion, Europeans looked in the mirror and no longer recognized themselves; they found themselves within a "reality deeply in question" (Clifford 542). True to their propensity for offering redemption and absolution, artists made attempts to salvage what was left, to reassemble the human form through montage, assemblage, collage. In retrospect, I think of the duct tape show as an effort of reassembly, a piecing (taping) together of fragmented and fractured elements, and, as can be expected, the parts don't always go back in their original locations. Cubism and Surrealism were artistic movements borne out of the brutality of wars that called into question the project of 'civilization' itself, leading to "a general assault on the normal" (Clifford 549). Simultaneously, and also as a direct result of the war, a pioneer in the art of plastic surgery, H. D. Gilles, was working on piecing together the faces of Britain's war wounded. While leafing through the pages of the resulting document, Plastic Surgery of the Face (which is, although unstated and probably unintentional, nevertheless a stridently effective anti-war book), one is reminded of the process of collage, montage, juxtaposition found in post-war artworks, because the faces of these men are pieced together by borrowing skin and tissue from other regions of their faces and body. A flap of skin is pulled up from the neck to form the chin. A piece of rib is taken to form a mandible. A region of skin from the chest is pulled up to the cheek. The plastic surgeon Gilles is a post-war artist reassembling the human form, no less so than the Surrealists and Cubists. And the portraits themselves are no less "surreal" than a Duchamps painting or a Picasso. While Clifford traces the relationship between these artists and ethnographic research as an outward search for new social forms to reconstitute a battered European society, we can also see in this effort of facial reconstruction a similar impulse to pull together a semblance of humanity and dignity from disparate sources. Gilles' portraits simultaneously familiarize and alienate society from itself, encompassing both projects of ethnography and surrealism as illustrated by Clifford (562). These are the very faces that one rarely sees mingling in the crowd at an art opening (do we see the amputees and battle-scarred in contemporary art openings? ), and yet they are the results of the cynical war project which artists and galleries attempt -- and generally fail -- to offer some kind of solace. If we need further evidence of this cynicism, we only need to read the introduction, where one W. Arbuthnot Lane lauds Dr. Gillies' work and muses upon its value towards healing the wounds incurred through the accidents of every day life, not just the battlefield, wounds which "materially lower the market value of the individual" (Lane, in Gilles 1920: vii). Gilles was, most likely, horrified by this statement in the introduction to his work, because it is not consistent with the humanity and living presence contained in the portraits within, for the men portrayed in the individual portraits are presented with great care and dignity. Clifford states that "after the war, the world was permanently surrealist" (Clifford 541), and one can only surmise the kind of permanence that the world now endures within the context of this seemingly endless series of conflict, and how art has cynically become inured to it (or sequestered from it). This account operates under the premise that memory is a form of excavation. The periodic disturbance of sedimented pasts -- or, the "tillage" of memory -- creates new relationships and associations. The following memories are attached to the particularities of place. Ricouer notes that it is for this very reason that when we speak of past events we say that it "took place" (Ricouer 2004). In 1975, I lived in New Haven, Connecticut with my brother, mother and father, in a small apartment on the ground floor of a large stucco house on Orange Street with a dark red front door. My father worked in a steel vault buried under a steeply pitched mound of earth on Whitney Street. In solidarity I locked myself in a tiny closet late at night and crouched under a bare light bulb to do my spelling homework. I had a lot of freedom at age nine: I walked to and from school and sometimes my brother and I were asked to go shopping for groceries, which was always a treat because my father regularly forgot to ask for the change. At one point I took part in a community mural project, led by some charmingly sullen young hippy artists who asked us each to paint a life size human being on a brick wall with some kind of illness or disability, hands outstretched, holding the hands of the figures next to them. Even though I was too young to be wounded by life, I somehow understood what they were getting at. I painted someone with a cast on their arm. My brother painted someone with chicken pox. I can point to this experience, this memory, as the source of a lifelong affinity with war protestors; those who silently stand on street corners with signs. I remember these organizers. They were serious, committed, community minded. The full historical integrity and character of the hippies as a social movement has been eroded over time, and there is ample documentation to prove that the hippies and peace-leaning professors were systematically and meticulously discredited and destroyed on college campuses all over the country (Medsger 2014). However, just to set the record straight, I need to assert that the hippies I knew as a child -- the men and women who protected me and guided me through a long beautiful summer -- were principled, dedicated dreamers. Twenty-five years later, during the long, slow, sickening build up to the war, I returned to New Haven to look for them. During the school years I explored the city with a friend; we climbed in steel dumpsters and hid under stairwells. Reaping the bounteous rewards of benign neglect, we explored the city on the way to and from school each day, finding things: pens, empty checkbooks, photographs, undecipherable written code on mimeographed sheets, IBM punch cards. We made caches and hid these things behind bushes to return to them and discuss their possible meanings and purpose: the mysterious machinations of the world of grown-ups. Perhaps some of these assemblages are still there, buried by the successive layers of mulch and leaves around the perimeters of the brick buildings of Orange Street, under the ornamental holly and juniper bushes. I mention this memory because it occurs to me that my 'curatorial ambitions' in New Haven began early. Baxter astutely observes that children's presence in the archaeological record is often incorrectly described as a "randomizing" or disordering (Baxter 2005). If my memory serves me, it seems that, in our assembling of things, we were actively trying to make sense out of the world we suddenly found ourselves in. Baudrillard asserts that "(a) person who collects is dead, but he literally survives himself through his collection..." (Baudrillard 2005, 10). From my experience, the impulse to collect begins at a very young age for those so predisposed and continues throughout life. Perhaps Baudrillard is able to make this statement because he has forgotten his childhood memories as well as memory itself. While certainly not beyond critique or reproach, the act of collecting is, among other things, an attempt to engage with memory, and it is an activity undertaken by individuals, some of whom are quite young, and very much alive. One final memory of New Haven; cinematic in so many ways: walking with my father and brother at night in the deep snow, the street lights causing the snowflakes to sparkle, the snow up to my knees. We turned onto a dead end street with a movie theater at the end (The Little Theater). Once inside, our senses were filled with the silvery black and white luminous images of the original "King Kong" (1933). In subsequent discussions of this event with my father, I told him that it was one of my favorite childhood memories. Surprisingly, he informed me that at this time, he was at the low point of his life, close to suicide. Perhaps going to see the film was his attempt to reclaim some of his own childhood memories, to hold things together, but it remains striking to me how the same event can carry such different memories for different people. For me, this was a happy memory. For him, while he remembered the event, it hardly constituted a memory as such, it was just one more incident or diversion during a time of otherwise utter despair. Just this one example calls into question what exactly we're talking about when we speak of collective memory. Now I want you to suppose, for the sake of the argument, that we have in our souls a block of wax, larger in one person, smaller in another, and of pure wax in one case, dirtier in another; in some men rather hard, in others rather soft, while in some it is of just the proper consistency....We may look upon it, then as a gift of Memory (Mnemosyne), the mother of the Muses. We make impressions upon this of everything we wish to remember (mnemoneusai) among the things we have seen or heard or thought of ourselves; we hold the wax under our perceptions and thoughts and take a stamp from them, in the way in which we take the imprints...of signet rings. Whatever is impressed upon the wax we remember and know so long as the image (eidolon) remains in the wax; whatever is obliterated or cannot be impressed, we forget (epilelesthai) and do not know" (Plato, Theaetetus as quoted in Ricouer 2004, 9). If memory can be said to have properties like matter, then the above metaphor seems to have merit, and significantly Socrates takes pains to point out that this property of malleability and impressionability of memory exists along a continuum, between people and within individuals. In fact, this malleability of the memory function, when taken to its more sensitive extreme, could even be said to be sticky. My original impetus for writing this essay was to address "sticky things" as a way to provide context for an art show about duct tape, for it is true, as Hodder has observed, that "things stick to each other" (Hodder 2012: 3). It is the properties of stickiness, expediency, the holding-of-things-together that duct tape offers that made it an appropriate material for a moment that called for community and cohesiveness. The capacity for things to evoke, project associations, motivate and forestall, absorb and disperse human qualities is the very essence of art itself. Emerging from the field of environmental studies is an important tool for the discussion of the relationship between the human animal and their material surroundings. The concept of 'affordance' provides a way of addressing the qualities and potentialities inherent in things, materials, objects, as well as the earth and sky. This is a subjective concept, viewer dependent, but also contingent upon real and tangible properties of objects (Gibson 1977). One can attribute numerous affordances to the substance of duct tape as well as the quality of 'stickiness' itself. One can stick to their principles or stick with it or one can be stuck in a rut. While I was living there in the early 2000's, a group of representational artists in New Haven gleefully referred to themselves as the Stuckists, embracing a pejorative critique as their chosen identity. An art academic once entered my studio and creepily whispered his words of criticism of my work. When I asked him why he was whispering, he hissed "So it will stick." Years later, he tried to apologize to me on the local bus as it lumbered up Broadway, but his attempt was like the efforts of a ghost trying to re-inhabit the body of the living. My memory had already attained a full, rich, vibrant life of its own, and was having nothing of this apparition from the past. As always, etymological origins and colloquial uses are instructive. These colloquialisms ("Stick around!") seem to suggest that the transition from malleability to stickiness is akin to the slippage from perseverance to perseveration, but the material basis of memory and cognition suggest that memories themselves, as things, are a legitimate subject for archaeological investigation. In a groundbreaking article, a group of researchers at Columbia University located a specific protein, CPEB3 (cytoplasmic polyadenylation element-binding protein) in mice that facilitates the maintenance of long-term memory. I find this particularly interesting, because, just like Socrates' block of wax, it provides a model that seems to confirm the everyday experience of memories that stick. The researchers assert that their model "predicts a possible role of CPEB3 in memory reconsolidation, and it is, in fact, one possible explanation for why recurrent retrievals can induce memory strengthening, that is because once CPEB3 has been reactivated it can promote the synthesis of synaptic proteins that reinforce the persistence of that memory trace." (Fioriti et. al. 2015, 1447). The aforementioned memories of childhood experiences in New Haven formed a kind of internal mythology that was activated during a particularly volatile time. I had just won a court case regarding an unlawful eviction attempt from an apartment building in New York City, and instead of staying in the apartment and paying all of the back rent, I left New York City and its skyrocketing rents and luxury everythings and moved to the outskirts of New Haven, where I worked on a friend's house in the middle of the woods. In the afternoons after work I would roll downhill in a beat up old pick-up truck into the streets of downtown, where I found the landmarks and locations of the memories that had held me enchanted for so many years. I inhabited an imaginary landscape of memory, and I sought out the people who once tried to heal me, to heal us. Looking back upon this project of return, I can see that I was fully incapable of dealing with reality, I had no interest in it. Conditioned by disgust with the materialistic excesses of New York City, I had dismissed the possibility of participation before I even arrived. Luckily I found some friends who were of a similar ilk, and as we watched and listened with horror as the linguistic war machine expanded throughout the airwaves, we anaesthetized ourselves daily, not so much to forget or repress memories, but to temper the sharpness of knowledge which memory brings. In other words, we fully remembered the last war, and the one before that. This skepticism and suspicion that the silent inertia of war produced in myself and anothers became manifest in an aversion for and marked distrust of material refinement. Conversely, we became attracted to the abject and mundane. We surrounded ourselves by coarse, cheap, awkward forms, rusted cars that constantly broke down, clothes with patches and holes and dirty hands. This was a very effective social filtering device (one that I still employ) that eventually led to greater and greater isolation, but it was also very conducive to the project of enlisting duct tape as a form of protest: an expedient, scruffy, rough-around-the-edges material. This conscious disavowal of privelege, what one friend characterized as "the purity of downward mobility," and the eschewal of wealth in favor of the every day, abject, forlorn and lonely material companions of existence has its precedents in projects such as Grotowski's "poor art" (Growtoski 1968) and the Ash Can school of American painting, not to mention the willing poverty of the Greek cynics (Desmond 2006). Moreover, as evidenced by the trajectory of artists who gravitate towards the study of material culture, i.e. "things," an aesthetic inclination to the detritus of modernity is a natural gateway to archaeology, in particular, the nascent field of 'contemporary archaeology,' or the archaeology of the 'just-now. During one of these evenings of insularity and cultivated scruffiness, as we somberly discussed the proliferation of war propaganda, we heard the Secretary of Homeland Security, Tom Ridge. issue a well-meaning albeit puzzling statement suggesting that, as the country was observing a redundantly termed "terror alert" level of orange (the penultimate warning), people could nevetheless protect themselves from gas attacks with duct tape and plastic sheeting. We looked at each other in immediate acknowledgment that something had been laid at our feet, waiting for a response, and we were not the only ones. Tongue-in-cheek references to duct tape almost immediately emerged, in many forms. Some carried no explicit political references: just going to the hardware store and mentioning the words duct tape with a smile on your face became a political act. Strange times, indeed. It is important to understand the level of cognitive dissonance that characterized political discourse at the time. Still reeling from the endlessly repeated footage of the twin towers' destruction in Manhattan and people falling to their deaths, many witnesses subsequently reported having the sense of a collapse of internal structure (Seeley 2008). Then, as a populace, we were suddenly contending with a host of neologisms that were presented as if we were all supposed to understand them, an onslaught of particular a form of obscurantism that elicited a reaction reminiscent of Pascal's dismay and panic upon the sudden introduction of the unheard of term "proximate" in the context of a theological dispute within the French academy (Well, what do you think it means, young man?). Quite suddenly, and in total agreement of terms, mass media was announcing terror alerts, weapons of mass destruction, red state, blue state, war on terror (another redundancy), etc. etc. Mass media, acting in concert, created the conditions for the build up to the war. In a feebly worded mea culpa, the New York Times stated that its reporting was "not as rigorous as it should have been" (New York Times, May 26, 2004). Remarking on the scenario of a society led to war through a false premise, Harold Pinter summarized the situation with characteristic terseness: "We were assured it was true. It was not true" (Pinter 2006, 25). Even before this gaff, I had been spending months scanning the town for leadership, someone to support in any kind of organized resistance to the war rhetoric. I was well aware that a town like New Haven, hosting an institution like Yale, would be an ideal place to launch an anti-war effort, because our actions would be broadcast worldwide. However, all I could find were local cultural players who were bitterly engaged in long standing local feuds. Their world did not extend beyond State Street. Protests and marches began popping up on street corners and I attended all that I could, but the blaisé gooey language of the post-modernists and deconstructionists had its desired effect: hardly any young people (students) attended any of these events. Direct, overt protest was deemed passé and ineffectual, causing one to ponder over the mechanisms behind this lack of resistance in the academy, to wonder, along with Randolph Bourne what caused "this willingness of the American intellect to open the sluices and flood us with the sewage of the war spirit" (Bourne 1964: 4). Brian Eno summed up the tenor of the times quite well, with his observation: "We are now in the anti-sixties" (Eno 2006, 1). The median age of the protestors during the events that I witnessed was well over fifty. The only vocal opposition to the war coming from Yale (which made press) was from a lone archaeologist and cuneiform expert, lamenting the loss of cuneiform tablets at the National Museum in Baghdad during the predictably inept ground assault. I made a mental note of this exception to the otherwise deafening silence. I was renting a studio space in an old warehouse that used to house the factory that made "Erector Sets," a packaged bundle of perforated steel plates, miniature girders and nuts and bolts that allowed children to build elaborate structures. Before that, the building was probably the site of arms manufacture of some kind. Many artists on my floor would come and go, but few would open their doors. Luckily, my neighbor, Mark Andreas, a talented artist and blacksmith, was a friendly soul and we would sit and exchange stories for hours, in between doing work sporadically. One evening while sharing beers and stories in our studios Mark said "Let's have an art show about duct tape." I immediately agreed, thinking that we should open the show to others, not just present our own work. 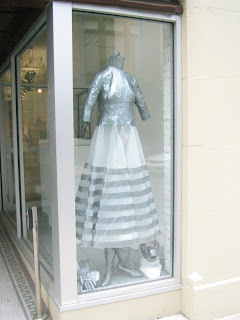 Duct tape -- as a material, an idea, a concept, a thing -- captured the imagination of just about every artist in town, in the end even attracting professors from the Yale art department, who remained aloof until the last possible moment. Suddenly everyone wanted to be involved, and the show was taken over, it was even given a rather horrific title by a few of them, but I didn't have the energy to protest. To me, it will always just be "the duct tape show," nothing brilliant, nothing special. I knew the show was a success when I could find no mention of it in the papers, even the so-called 'alternative press.' Duct tape was both the media and the message. I have two sons out there some where, one in the Pacific Island the other one with the Atlantic Fleet. You have sons in the service also. We can’t let them down by giving them a box of cartridges that takes a minute or more to open, the enemy taking their lives, that could have been saved. Had the box been taped with a strong cloth tape that can be opened in a split second. I didn’t know who to write to Mr. President, so have written you hoping for your boys, my boys, and every man that uses the rifle grenade, that this package of rifle cartridges may be taped with the correct tape. (Stoudt, as quoted by Gurowitz 2012). So, as irony would have it, duct tape was an invention that emerged from the horror of war itself, borne of the "...the mothers of the people (who) are commonly unable to see the use of it all" (Veblen 1917, 1). After its introduction into the armed forces, it became widely used for many other purposes (it was also called "100 Mile an hour tape"), and it was made with cotton duck fabric, hence its original name, "duck tape" (Gurowitz 2012). However, well before this, adhesive tape was invented and developed for medical purposes, with "a primary use...to pull something into place and then hold it there -- as illustrated by traction; a second use is to affix something in place -- as protective covering for dressings" (Johnson and Johnson 1958: 5). It is this original use for adhesive tape -- as a material enlisted in the project of healing -- which I choose to hold onto. There were, in fact, two shows. The first was in our studios at Erector Square. The second was in a gallery downtown that had heard about the first show and was looking for more grassroots community support and found its opportunity by absorbing our initial gathering. With the consent of the artists, I was happy to offer all of the work to the gallery. Only one artist removed their work. Once it was under the aegis of this gallery, which was centrally located with a lot of foot traffic, the show expanded enormously. Both Mark and I were a bit frightened by what we had created, because we knew that were offering a critique of power directly in the seat of power, Yale, the home of skulls and bones and all that. I remember the night before the opening, experiencing a sense of dread like I never felt before. The morning of the opening, as Mark and I sat on the curb outside the gallery, I asked him how he felt about it, and he replied "Good, but I just wish it was a show about masking tape." During both shows, as the work rolled into the gallery, I can also remember experiencing a feeling of euphoria, the sense that we had really created something good, a powerful social event that might change things for the better. One artist showed up as a fictitious superhero "Duct Tape Man," striding into the gallery like a flaming comet with a flowing cape of colorful scraps of cloth held together with tape. 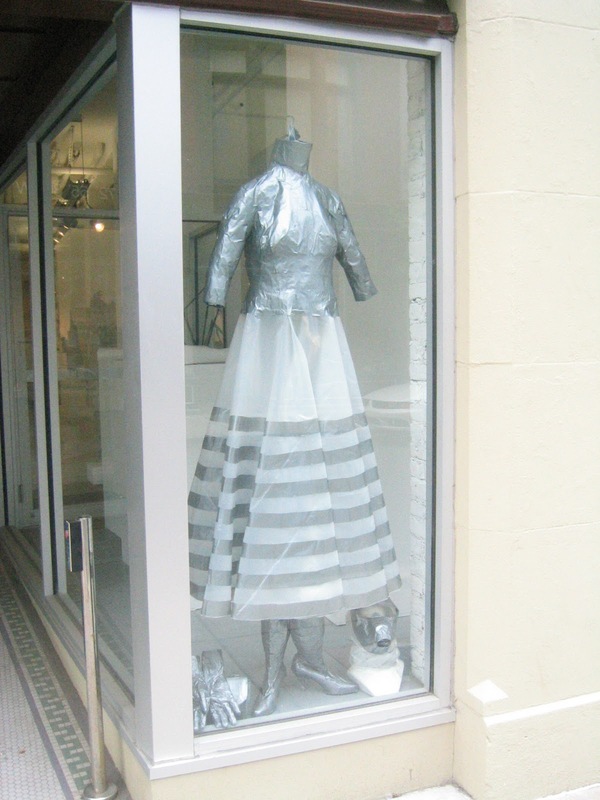 Another artist meticulously created a long formal gown from duct tape and plastic sheeting, complete with high boots and a gas mask. One man came in with a large bag made from duct tape labeled "Twenty minutes of air," an appropriate commentary on the temporary, ineffectual, stop-gap nature of the theme. Another artist made a beautiful and meticulously crafted American flag sewn together with strips of tape. The sense of victory that these pieces inspired emanated from a simple source: we were laughing in the face of fear and power, and quite justifiably so. As events like this unfold, one never knows the direction things will turn, but we were pleased to see that most came in the spirit of community. My earlier sense of dread was confirmed, however, when a woman walked up to me holding a strange oval form with two vacant eyes, like a small shield. As I did with all of the other artists, I immediately said, "Thank you, let's put it up on the wall," to which she replied sternly, staring at me, unsmiling, with the same vacant eyes "No, it's for you." I responded, "Thanks, well, what is it?" and she replied "It's a parachute safety mask," then turned around and walked away without further explanation. I pinned it to the wall with her name next to it. This was just the first in a long string of creepy events which are beyond the purview of this paper. Suffice it to say that my vehement, passionate (and rather angry) protest to the Iraq war – in the face of overwhelming evidence to its inevitability -- I can now characterize as an attempt at suicide by state, one which thankfully failed. Thus these early 'things' were very much involved in making connections between people and places, and with making connections to the past, linking everyday life with politics and the divine. The 'things' drew people, places, times together within a very specific socio-political context of increasing centralized power (Hodder 2012, 42). It is no mistake that archaeologists and anthropologists are intrigued by the phenomenon of the Kula as first described by Bronislaw Malinowski in 1922 and later theorized by Marcel Mauss in 1929. As an exchange system kept strictly separate from mundane or profane commodity needs (gimwali), the Kula of the Trobriand Islands was a highly stylized material exchange in which objects (shells and bracelets, “vaygu'a”) were placed in two perpetually cycling loops moving in opposite directions, never hoarded or possessed, and always kept in circulation. This cycle of non-cumulative exchange seems to act as an extraordinary form of peacekeeping, not by suppressing antagonisms but rather by distributing and dispersing the natural flow of friendship, enmity, jealousy, pride and the whole host of human feelings that arise between people. The art object, as a social being with agency, was subsequently theorized by thinkers such as Mauss, Gell, Appadurai, Latour. Although Malinowski by no means describes a society of pacifists, it is difficult not to see in this system of exchange certain parallels in academic and artistic “circles,” where ideas, stories and grand mythologies travel from institution to institution embodied in texts and objects, which are curated, collected, read and studied and then passed along from scholar to scholar, artist to artist, forming alliances and laudation, engendering dissent and indebtedness. Within the stream of discourse and knowledge proper to art and archaeology (and within the hallways, conference rooms and coffee breaks at academic conferences), one can see this very process. The exchange is non-economic, it is purely of the mind (and the ego): articles and books are traded, gifts are given unsolicited (a publication, a connection) with an obligation to someday return in kind. The Kula ring of art is a structured system of intellectual distribution and constant renewal. The individual artist or scholar, finding him or herself within this system, must decide how to situate themselves, how loudly to assert their own voice. As an agentive actor in the larger project of intellectual inquiry, one makes conscious decisions regarding one's own potential capacity to change, critique, question, modify, reinforce or augment the direction and production of discourse. More than anything, just as the Althing, this process serves to diminish fear simply by bringing people into contact with each other. It strikes me that we need each others' thoughts, we seek out the words, songs, memories, thoughts, visual expressions of other people, because if we do not have them, we cannot formulate or isolate our own. The "thing" is a gathering of one's own thoughts and feelings, but it is also a gathering of many peoples' thoughts and feelings; through words and visual, tangible expressions, I am intrigued by the almost spiritual nature of the experience: in recollection, a period of intense social exchange through art gives one the feeling of traveling through a disembodied intellectual communion of thought. The nature of humans' engagement with things is highly dependent upon the form of encounter. Picking up and handling a roll of duct tape in a hardware store is very different from creating a piece of art for an art show, especially a show with political overtones. The forms of treatment, ways of approaching the material of memory is similarly diverse: "We know that the temporal connections between archaeological constructs are not the 'usual' ones, that they develop with a certain kind of memory that is not -- strictly speaking -- historical memory, but an internal memory, one that is intrinsic, as it were, to archaeological matter" (Olivier 64). I dedicate this essay to the memory of Paul, Sheila and Marcia Wellstone. Appadurai, Arjun (1986) The Social Life of Things: Commodities in Cultural Perspective. Cambridge: Cambridge University Press. Baudrillard, Jean (2005) The non-functional system, or subjective discourse. In The System of Objects. Baxter, Jane Eva (2005) The Archaeology of Childhood: Children, Gender, and Material Culture. Altamira Press. Bourne, Randolph S (1964) War and the Intellectuals. New York: Harper. Brown, Bill (2001) Thing theory. Critical Inquiry 28(1):1-22. Desmond, William (2006) The Greek Praise of Poverty: Origins of Ancient Cynicism. Notre Dame: University of Notre Dame Press. Eno, Brian, Harold Pinter, John Le Carré, Richard Dawkins, Michel Faber and Haifa Zangana (2006) Not One More Death. London: Verso. Fioriti, Luana, Cory Myers, Yan-You Huang, Xiang Li, Joseph S. Stephan, Pierre Trifilieff, Luca Colnaghi, Stylianos Kosmidis, Bettina Drisaldi, Elias Pavlapoulos, Eric Kandel (2015) "The Persistence of Hippocampal-Based Memory Requires Protein Synthesis Mediated by the Prion-like Protein CPEB3," in Neuron, 86, 1433-1448. Gibson, James J (1977) The Theory of Affordances, in Perceiving, Acting, and Knowing, Eds. Robert Shaw and John Bransford. London: Routledge. Gilles, H D (1920) Plastic Surgery of the Face: Based on Selected Cases of War Injuries of the Face, Including Burns, With Original Illustrations. London: Oxford University Press. Grotowski, Jerzy (1968) Towards a poor theatre. London: Routledge. Gurowitz, Margaret (2012)"The Woman Who Invented Duct Tape," from http://www.kilmerhouse.com/2012/06/the-woman-who-invented-duct-tape/. Accessed on March 5, 2017. Hodder, Ian (2012) Entangled: An Archaeology of the Relations Between Humans and Things. Wiley-Blackwell. Ingold, Tim (2011) Lines. Routledge, London. Ingold, Tim (2000) On weaving a basket. In The Perception of the Environment: Essays in Livelihood, Dwelling and Skill, pp. 339-348. Routledge, London. Johnson and Johnson (1958) Therapeutic Uses of Adhesive Tape. New Brunswick: Johnson and Johnson, Inc.
Mauss, Marcel (2000 ) The Gift: The form and reason for exchange in archaic societies. Trans. W.D. Halls. New York: W.W. Norton. Medsger, Betty (2014) The Burlary: The Discovery of J. Edgar Hoover's Secret FBI. New York: Vintage. Ricouer, Paul (2004) Memory, History, Forgetting. Trans. Kathleen Blamey and David Pellauer. Chicago: University of Chicago Press. Seeley, Karen (2008) Therapy After Terror. Cambridge: Cambridge University Press. Veblen, Thorstein (1917) An Inquiry Into the Nature of Peace and the Terms of its Perpetuation. New York: MacMillan. Written for the occasion of “Art, Archaeology and the Curious Activity of Digging Up Nothing,” an art piece by Matthias Neumann. January 16, 2016, 7 pm. Radiator Gallery. Long Island City, NY. Co-presenters: Scott Schwartz, Matthew Lange, Megan Hicks, Matthias Neumann. My first association when thinking about the topic of 'finding nothing' is an imaginary walk down the cobblestones of Crosby or Greene Street in search of a Ray Johnson performance, although this would be finding "A Nothing" as opposed to finding nothing. I remember seeing a film of Johnson in a gallery throwing a stack of papers into the air like a fountain, and then there's an image of him dumping a box full of wooden spools down a staircase. The artist in motion, doing things in a gallery space or studio, a living performing being, thinking of this reminds me of how truly hard it is to create nothing, to be silent in order to not speak of the nothing of which one knows so very little. I once heard that Poincare's definition of 'the possible' is that its value must be at least equal to one over the age of the universe, which is currently set at 13.82 billion years, so perhaps the chance of finding nothing is less than one in 13.82 billion. And alongside this no-thing there is the non-event, or to stay in the realm of the possible the 'least event' as conceived by John Latham, the smallest constitutive element of the universe. In an excavation unit, this is what an archaeologist looks for. In the studio practice, it is what an artist uses to assemble into a something that becomes undeniably present. A commonly related experience for artists is that the peripheral, forgotten zones of the studio, the little nothings ("oh, that's nothing") are, in the end, the pieces that get into the gallery. The work at the center of the room, the unfortunate masterpiece endeavor is over-worked and inevitably abandoned. Perhaps this is what Agnes Martin means when she says that that saddest thing for an artist -- and perhaps for an archaeologist -- is to have an idea. What a gift it is to search for -- let alone find -- nothing. It is a release from the onerous legacy of treasure hunting or treasure making. To apprehend nothing is to somehow engage with the formlessness from which all images, all forms are derived. I am reminded of the field paintings of Ryman or Rothko evoking the source, like a reversal of fate, where emptiness or the void becomes a source rather than a sink. Forms emanate endlessly from nothing, and both painting and archaeological excavation delineate this nothing through the curious custom of the frame, the cosmic map. Even more fortuitous than finding nothing is having nothing to find it with. Empty hands, empty pockets, no funding, no tools, means having no purchase for any behavioral fulcrum to pry or leverage, having nothing gives you the freedom to have your own thoughts. Excavation can happen visually: looking for paint lines on the sides of buildings, changes in materials, the air space between buildings, the vast negative spaces between things, forms made explicit by Rachel Whiteread in her enormous casts of the interior of rooms and houses. The hydra-headed discipline of archaeology has long contended with the mass noun, the element, now reemerging in new garb as 'the hyperobject,' the spatial distribution of similar types. The archaeological matrix, dancing between field and form, shifting between horrore vacuee and horrore plentitudinous, is ideally a space of abandonment, a no-place utopia where no one goes, where nothing happens, a space of randomness and chaos. This is what connects archaeological site practice to studio practice, they are both forms of personal expression, and at least for me, both thrive only in spaces that have enjoyed as J.B. Jackson has termed, an "interval of neglect," existing outside of day to day norms and scrutiny. Nowhere -- in the middle of nothing -- is the place where archaeologists willingly place themselves. 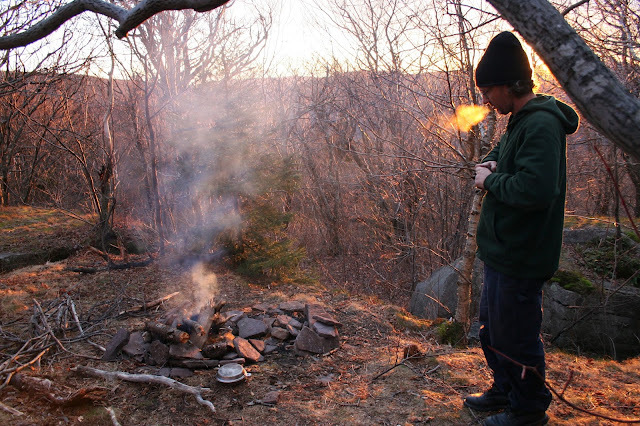 Far more often than finding nothing, archaeologists find themselves in the middle of nothing. Finally, nothing, as the absence of something, anything at all, has an absolute nature. Nothing is -- as Rothko once observed of silence -- accurate. But this accuracy of nothing is an accuracy that does not differentiate - it is encompassing and accommodating. Like absence, nothing creates the open space for an affinity among different forms of being, interchanges between different potentialities: what could be, will be, might be, would be, was, could have been, but nothing is much older than absence. In fact, nothing predates absence by at least 13.82 billion years. "Being is said in many ways," according to Aristotle, and clearly, as its edges are delineated by the trowel of the archaeologist or the palette knife of the artist, so is nothing.